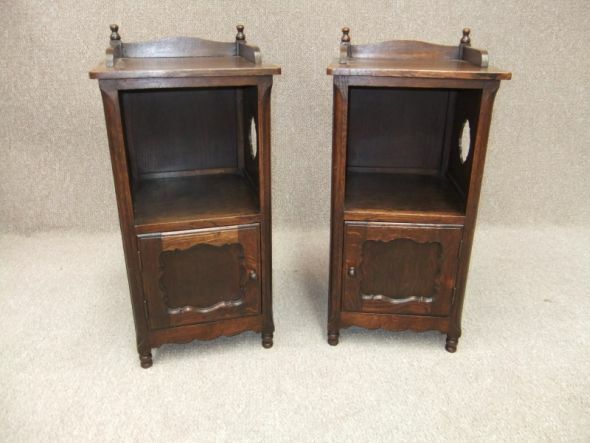 A beautiful pair of circa 1920s solid oak bedside cabinets. Featuring a decorative up stand, two large open spaces, and a small cupboard below. As you can see, these items are actually a pair as they have a left and right opening door. They still retain their original turned wooden handles, and are both in lovely condition for their age. Ideal pieces of furniture to complete any period bedroom setting.